Escaping to the warm sun and pristine sand of island life is the ultimate dream scenario. After all, what’s not to love about swaying palms, a gentle breeze, and miles of turquoise-green waters stretching out in front of you? Now take the dreamy island getaway in your mind’s eye and multiply it by a factor of 10. 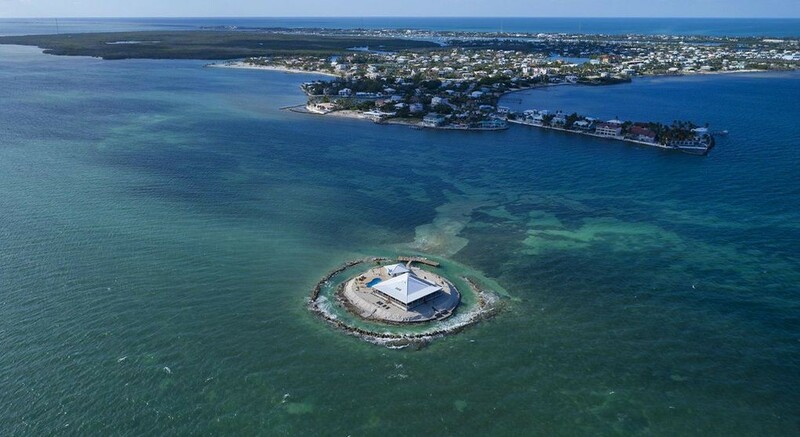 East Sister Rock, a private island situated just off the Florida Keys, takes island paradise to a whole new level. 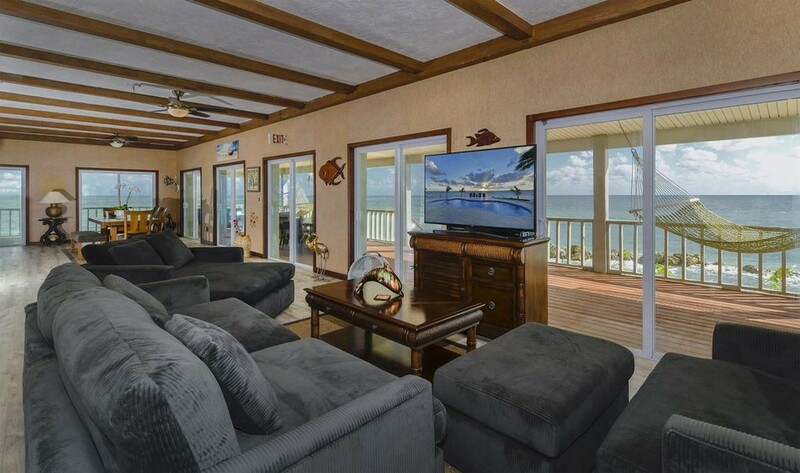 “There’s this great sense of peace you get when you step off the boat and onto the island,” says listing agent Tracy McCandless. It’s easy to see why. The island home is secluded. In fact, it basically takes up the entire island. No neighbors. No barking dogs (unless you bring your own). No worries. 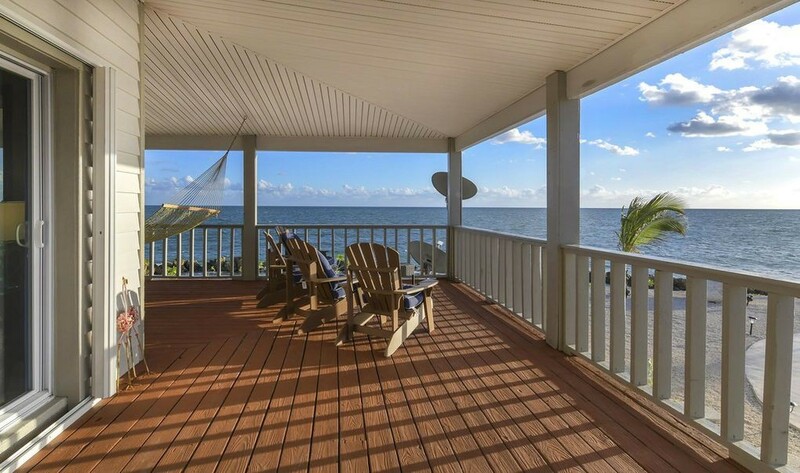 Island retreat or not, proper Florida living requires a few staples: space to enjoy the outdoors, a retreat from the heat, and views. All the views. East Sister Rock ticks all the boxes. The main house is fitted with a 2,880-square-foot wraparound deck. What’s more, the deck is covered, offering residents and their visitors a reprieve from direct sunlight. 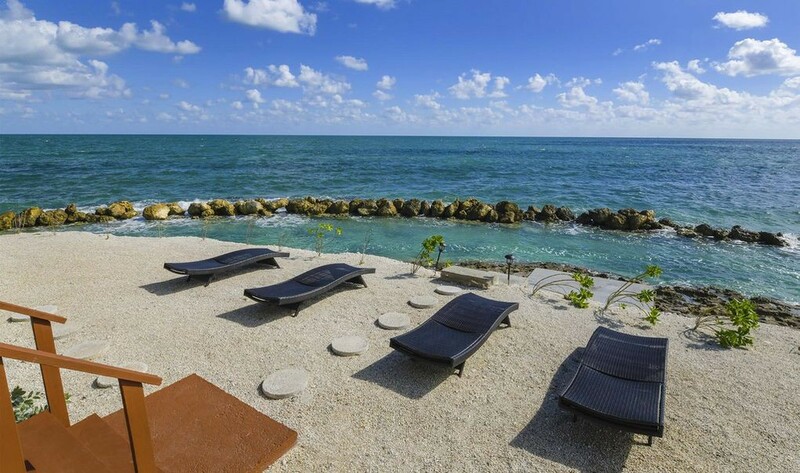 But if you’d rather spend time basking in the sunshine, there’s a sundeck for that. 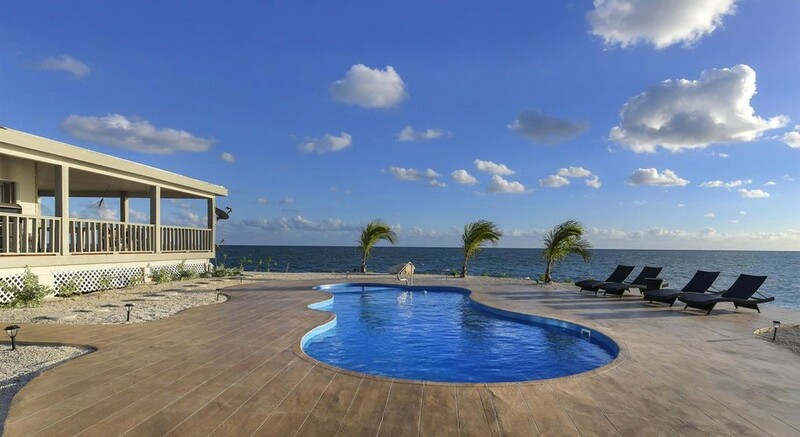 The home also has a saltwater pool as well as a moat (yep, you read that right), so you can choose your water experience. The home also features wall upon wall of windows, so if the heat is too much, you can retreat indoors without giving up your view. East Sister Rock offers incredible views—of the sunset, the ocean, and even the coral reefs—from just about every angle. And this is definitely not a “roughing it” island experience. East Sister Rock is off the grid, but it’s fueled by wind and solar energy and it has Wi-Fi. Logistics might be your only concern. To reach the island, you’ll need to come by boat or helicopter. The property has four docks and a helipad. The closest island is Marathon, which is about an hour north of Key West. Although the island is completely secluded, it’s still close enough to the party scene. The post Land Ho! 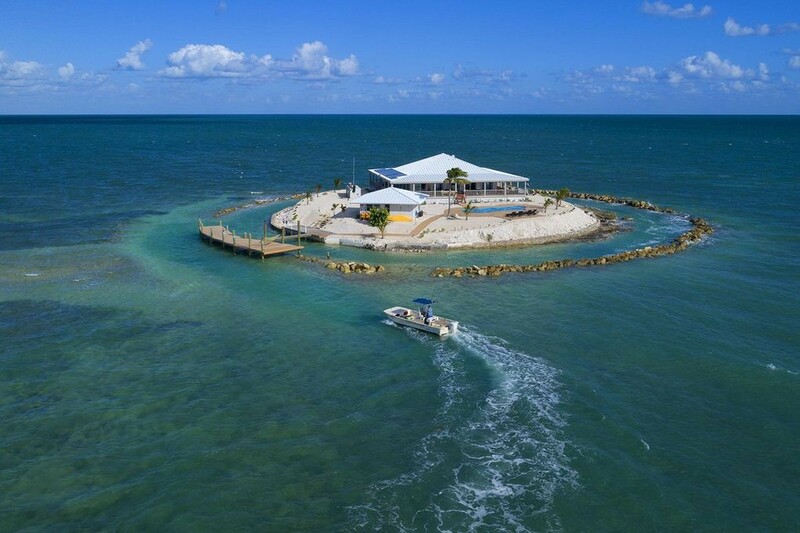 Enjoy Your Own Private Island Off the Florida Keys appeared first on Real Estate News & Insights | realtor.com®.